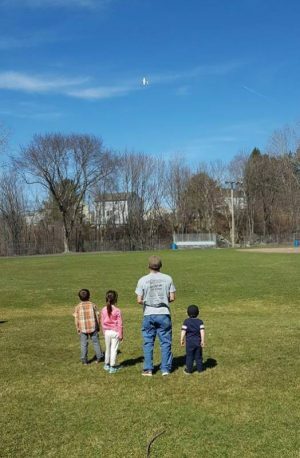 Home » Bonus Content » What’s Your Favorite Model To Fly? We all have our favorites, right? Some of us might be fond of a model that holds heavy sentimental value, passed down from an earlier generation. Some others might cherish a scale model that’s built-up, having spent hours upon hours detailing and making it as realistic as possible. Perhaps some model pilots will pick an aircraft not unlike one they actually flew while in Civilian or Military service. That’s not what we’re talking about in this instance though. Basically, imagine you’re relegated to a desert island, shipwrecked and alone and all you can have with you is one of your models. Which would you pick as the only one you can fly for the rest of your life? Yes, we’re aware that most pilots fluctuate in their tastes over the years, whereas a 3D powerhouse might be their fave one year, but an scaled out warbird might be the go-to source to keep that passion flowing the next year. So, what’s it gonna be then? You’re stuck with nary a hobby shop in sight and no means of ordering anything on this very day and you have to pick just one. We know, it might make your head spin as such a query is akin (to some) to picking which child or pet is your favorite. It might not be an easy question, but we figured it would be a great way to get the comments rolling and start a purely RC model debate … just keep it respectful and classy. 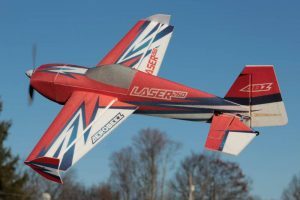 Managing Editor for Fly RC, Matt “Mini Guinea” Maziarz is quite enamored with EPP models these days and though the resiliency of such aircraft is a strong selling point, it’s all about the performance for these machines. 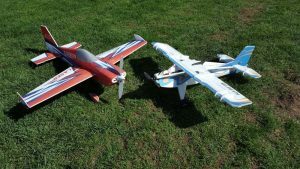 Of late, the models that are most often in tow to the field with Matt are the Crack Turbo Beaver from Twisted Hobbys and the Laser 260 full fuse from Aerobeez … both EPP, but also both very different in their flying styles. The Beaver is slow and capable of the most extreme 3D flips, twists and everything in between. Because of the x-style cross profile frame with a generous dose of side surface area, the Beaver will knife-edge with little to no rudder input and hang there all day if commanded. It’s also the perfect platform to hone your hovering and harrier skills, without a single worry of stuffing it and suffering crippling damage. The Laser, on the other hand, can get up to a pretty good clip flat line speed-wise, also excels at aerobatic flight. The surface areas aren’t a big as the Beaver’s, but in capable hands it can hang with just about any 3D machine. 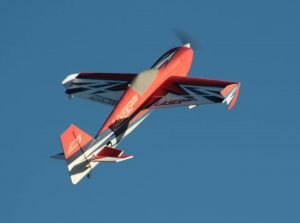 We all know that hovering a model is cool, but hovering it right on the deck, dipping the tail into the grass every so often only further amplifies the excitement for both the pilot and spectators alike. So what’s it going to be then, eh? Tell us what your single favorite model is on the very day you read this post and be sure to comment on it. As stated before, we only ask that you keep it respectful and playful. Remember, we are merely a cross section of society and to that end, we might all share a love for flying models, but we are also all very different in our individual tastes and models. If EPP tickles your fancy, be sure to hit the links below to check out Mini’s faves and feel free to reach out at any time with any questions regarding them or RC in general (Mini Guinea also pilots drones, helis, boats and cars … so long as it’s with a transmitter in hand). Previous Getting Into Gas Powered Models For The First Time?